State-of-the-art thermal monitoring of critical equipment onboard. 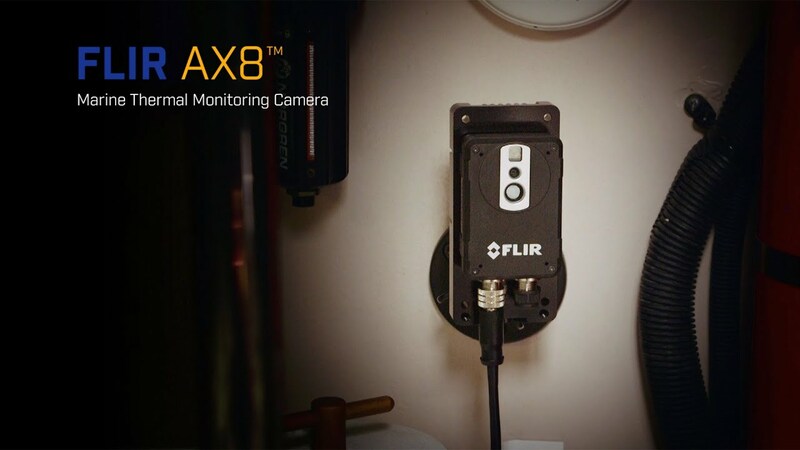 FLIR's Exclusive Multi-Spectral Dynamic Imaging (MSX®) creates thermal imaging that is easier to understand. Program specific areas to generate automated spot alarms when temperatures exceed pre-set thresholds. View thermal, visible, and MSX video imagery on Raymarine LightHouse II™ MFDs.